Bills and monthly expenses are just a part of life. But, this doesn’t make it acceptable to pay more money for these products and services. The good news is that there are easy ways to minimize the amount of money you spend on these expenses, giving you more buying power and cash flow. Here are 5 everyday expenses you’re overpaying on and how to cut costs. Most people go with the first insurance that they can think of, and if you’re like the average Joe, you likely have various forms of insurance including car, home, and maybe even life insurance. To save money on insurance costs, take the time to shop around. Insurance companies are highly competitive and are often more than willing to match if not beat another company’s prices. Online you’ll find all sorts of insurance comparison tools that allow you to see what each company charges for the type of insurance that you need. As a rule of thumb, a simple way to spend less on insurance is to bundle insurance policies under the same company. Insurers often offer discounts to customers to buy car, home, and other insurances with them. We all agree that having a cell phone is a must. From browsing social media to making financial transactions, cell phones make life easier and much more convenient. But, if you’re paying more than $100 for cell phone service, you’re paying more than you need to! Today there are various discount cell phone carriers, such as Virgin Mobile and Ting that offer the same services as the big name companies but at a much lower cost. For example, Ting uses the same network that T-Mobile uses. However, Ting only charges for minutes, texts, and data that you use versus charging customers for a package. Internet service providers are well-known for overcharging customers. Some are able to charge high amounts because they have a monopoly in the area while others can get away with it because of their name. If you’re willing to do a little haggling, chances are you can land a lower monthly payment. If you’re a regular or long-term customer, you’ve likely noticed that you’re paying much more for your service than you did a few years ago. At this point, take the time to call and negotiate a lower rate. Find out what competitors are offering and discuss them with your provider. A quick way to lower your Internet service is to buy a bundle package. If you bundle your Internet, cable, and home phone services, you’re likely to be given a lower rate. Prescription drugs just aren’t for the older generations. In fact, a study conducted by Mayo Clinic found that 70% of Americans take at least one prescription drug. The most commonly prescribed drugs are antibiotics, antidepressants, and opioids. As you can imagine, we spend a lot of money on prescriptions. In fact, in 2015, Americans spent around $374 billion on prescription drugs alone. If you’re taking a long-term prescription, have you ever thought about that you may be paying too much? At different pharmacies you’ll find that certain medications are available at lower prices. You can also save money by asking for sample packs or even using discounts. You can ask your doctor about an Eliquis manufacturer coupon as a quick way to save money. By cutting costs on prescription medications, you can have more money to spend on other items. No matter if you rent or own your home, you’re responsible for paying electric bill costs. In the U.S., the average electric bill is around $110, and there are ways to reduce that number. For example, try to reduce the amount of electricity you use during peak hours. During this time range, companies charge higher rates for electricity. To spend less on electricity each month, run your appliances after 8 P.M. when the costs are much lower. Another effective way to spend less on electricity is to lower the thermostat. Take the time to open the windows on days when the weather is nice. Unplug your small appliances when they’re not in use. By taking these small steps, you can reduce your monthly electricity bill while also reducing your carbon footprint. Escaping bills altogether is impossible, but there are ways to decrease the amount of money that you’re putting towards monthly expenses. From cell phone service to prescription medications, keep these tips in mind to lower the money you spend on bills. 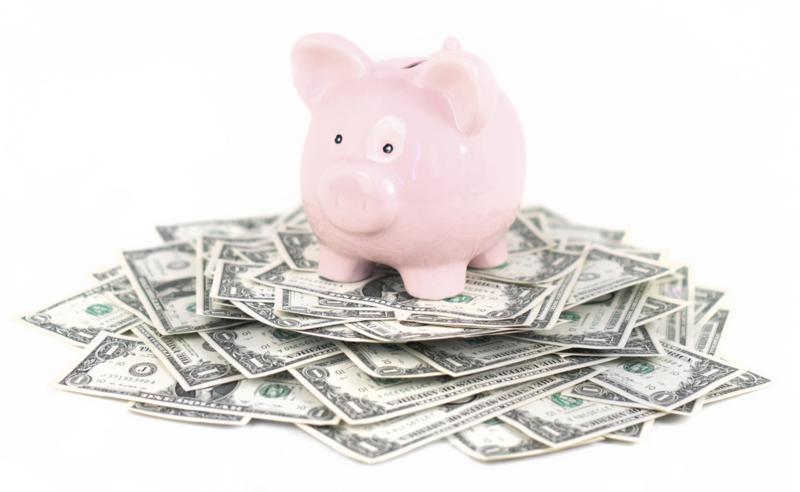 What are some other ways that you can save on everyday expense? Leave us a comment with your thoughts in the section below.